Arkansas Pediatric Facility is an Intermediate Care Facility for the Mentally Retarded (ICF/MR) located in North Little Rock. 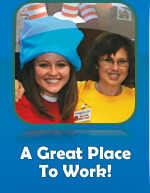 We have been serving children from across the state of Arkansas since 1986. We are licensed by the Office of Long Term Care to provide services for 58 children between the ages of birth and 21 years. We are Medicaid funded and provide residential services to children with challenges such as Cerebral Palsy, Spina Bifida, Autism, Traumatic Brain Injury, Hydrocephalus, tracheostomy and seizure disorder. We provide 24 hour nursing care, Physical Therapy, Occupational Therapy, Speech Pathology, and Special Education Services. We are committed to providing the best care possible in a family friendly setting to help your loved one develop to their fullest potential.